Buy Micromax Canvas Doodle 2 A240 at lowest price of Rs. 13,155 from Snapdeal. Micromax Canvas Doodle 2 A240 - Buy Micromax Canvas Doodle 2 A240 phone at a lowest price of Rs. 13155 in India on April 22, 2019. 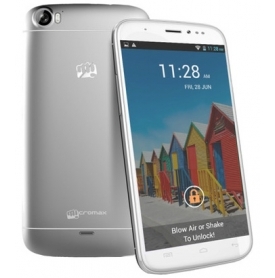 Compare and Buy Micromax Canvas Doodle 2 A240 at cheapest price from online stores in India. - 2.7 out of 5 based on 24 user reviews. Micromax Canvas Doodle 2 A240 Price List List of online stores in India with price, shipping time and availability information where Micromax Canvas Doodle 2 A240 is listed. Price of Micromax Canvas Doodle 2 A240 in the above table are in Indian Rupees. The Micromax Canvas Doodle 2 A240 is available at Snapdeal, Homeshop18, Maniacstore, Flipkart. The lowest price of Micromax Canvas Doodle 2 A240 is Rs. 13,155 at Snapdeal.